When we turn old we develop certain disabilities that make it difficult to walk, climb, balance or maintain our fine motor skills. In turn, these changes can affect our ability to perform routine, daily tasks. However, according to a new research, it is often possible to treat these difficulties before they lead to disability. According to the ANI report, a team of researchers examined information from a study called SHARE. It involved a survey of people aged 50 and older across most European Union countries and Israel every two years. This survey collected information about health, social and economic status, and participants’ social and family networks. A total of 30,434 people participated in this survey. The research team who studied the information from SHARE published their findings in the Journal of the American Geriatrics Society. For example, having good muscle strength helps us maintain the ability to function well. Research suggests that a minimum level of strength is needed for good physical function. The stronger older adults are, the better able they may be to prevent future disability. The researchers looked at the survey participants’ answers to ten questions including their ability to walk 100 meters (328 feet), sit for approximately 2 hours, get up from a chair after sitting for long periods, climb several flights of stairs without resting, climb one flight of stairs without resting, stooping, kneeling, or crouching, reach or extend their arms above shoulder level, pull or push large objects such as a living room chair, lift or carry weights over 10 pounds and pick up a small coin from a table. Answers to all ten questions were collected five different times. The researchers examined the effects of grip strength and cognition–the ability to remember, think, and make decisions–and how those affected the participants over time. The researchers learned that maintaining grip strength and protecting mental ability might prevent or delay disability. 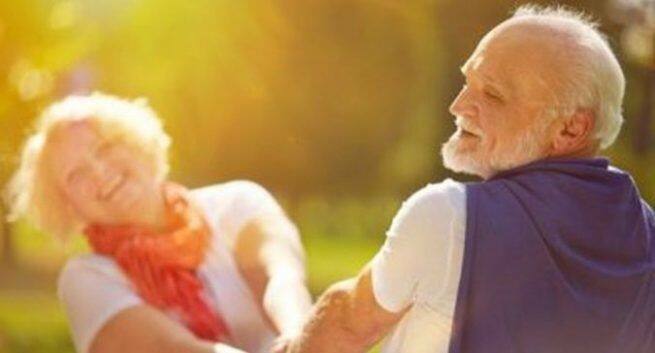 The researchers suggested that older adults who perform physical and mental training may be able to slow down their physical decline and potentially prevent future problems such as the loss of independence, reduced quality of life, the likelihood of developing depression and dementia, and even death.